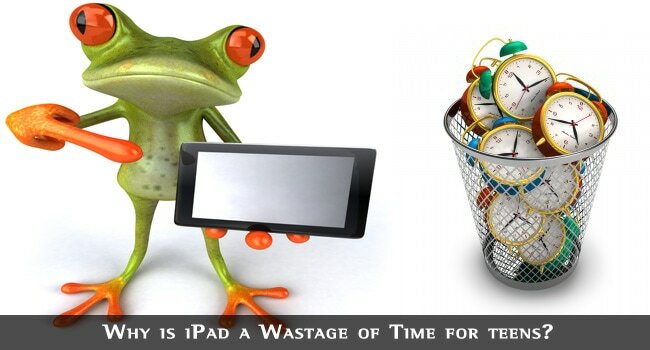 Why is iPad a Wastage of Time for teens? Although Apple is well known for its ability to craft new and interesting devices that transform overnight into a subculture, the iPad does not seem to be in the same category as iPhone and iPod. The so called new iPad is not a huge step from its predecessors, and since it is not the awaited iPad 3, people are already hurrying to call it a waste of time and money. Here are some reasons why iPad may not be the next cool gadget you want to carry around with you. Anything you can do with an iPad, you can do with an iPhone, too. Given the fact that you may not like to carry around a device that is that big, just to use it from time to time, it is much practical to have a smartphone, rather than an iPad. Mobility, which is the most important thing when it comes to this kind of electronic toys, is not that convenient in the case of iPad, since it is not a laptop, a notebook, or an e-book reader (although the latter still fail to increase sales and popularity, as expected). Practicality is definitely not among the major traits of iPad. Unlike iPhone or iPod that can be carried around easily, and used any time you want, the iPad is not actually used that much. 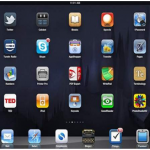 A lot of people admit that they use their iPad just once per day, which is far less than the numerous times they reach for their iPhone or other smartphone they may have. For a product that fails to set new boundaries, the price tag is not that encouraging, either. Spending several hundred dollars for a device that your grandma might be tempted to cut vegetables on is not worth it, if you take into consideration that everything the iPad can do, iPhone can actually do better, but in a sleeker, easier to use manner. The only thing that iPad may be better than an iPhone, provided its size, is browsing the Internet. However, the fact that you may get to read the fine print on some websites may not be that much of a gain, seeing that there are way too few places where wireless is available. And, considering the situation, why would you spend so much money on an iPad, instead of a nice looking notebook that can do much more than that? People expect great things from Apple, that is a given. With Steve Jobs’ passing away, many fear that the company may not be able to be as innovative as before, and these fears may have something with do with the fact that the new iPad is far from being the sensation the company tried to make it to be. But the future is uncertain, and the brains behind Apple’s innovative solutions may just come up with something that will leave the world dazzled once more. iPad is fantastic for certain things. It’s light and ultra portable (in the house). I use it to consume content, video and read books and magazine subscriptions. Apple really surpassed themselves with this product.